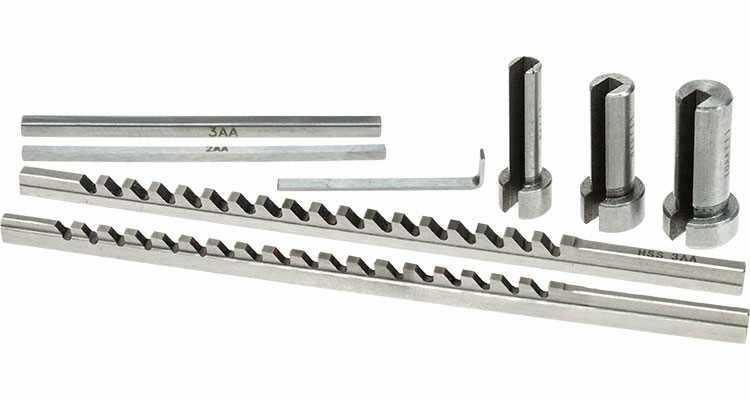 Metric Keyway Broach Set for 2mm and 3mm Keyways. Used for cutting 2mm and 3mm keyways in a bore using either an arbor press or hydraulic press. Supplied with shim for 3mm keyways and extension bars.